Need access to FREE debt advice? There are a number of organisations offering free, confidential debt advice. StepChange Debt Charity provides free debt management and can offer you a complete counselling session on the internet using our online tool StepChange Debt Remedy. Alternatively you can call their Helpline and speak to one of their advisors. They will collect information from you and if necessary will arrange an appointment with a debt advisor either straight away or at a time that suits you. Learn more about their debt help. StepChange Debt Remedy is available online 24 hours a day or call our Helpline, 8am to 8pm Monday to Friday, on 0800 138 1111. Derbyshire Districts Citizens Advice Bureau can provide free, independent, confidential and impartial debt advice to help you deal with your money worries. Derbyshire Districts CAB provide advice over the phone or at numerous outreach sessions across the Erewash area and beyond. DHA provides direct help via specialist advice, advocacy and representation for families and individuals facing crisis, to prevent and alleviate homelessness, debt and housing difficulty. Their free, independent and confidential services offer support and advice face to face or via the telephone. They also offer accessible training and skills development to a wide range of people to help reduce unemployment, and promote social and financial inclusion. Click here to visit the DHA website for more information. 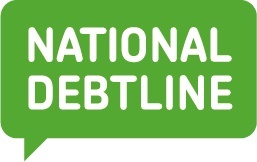 Visit the website www.nationaldebtline.org or call 0808 808 4000. Click here to visit the Turn2us Benefits Calculator. Debt Advice Foundation is a registered national debt advice and education charity offering free, confidential support and advice to anyone worried about loans, credit and debt. Because they’re a debt charity, the advice they provide is impartial and based solely on what is best for you. Click here to visit the Debt Advice Foundation website for more information.